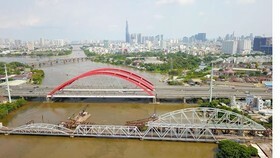 Many people yesterday afternoon flocked to Ho Chi Minh City Tourism Day 2019 in September 23rd Park, district 1 to buy discount tours for Vietnam Reunification Day (April 30) and the May Day (May 1). According to the travel agencies, the long-journey tours on the holidays of April 30 and May 1 have been almost fully booked whereas the short-day or one- day tours are still on sale. By the end of the same day, some travel agencies have calculated around 70 to 80 percent of the tours to be sold as the number of visitors coming to find out and buy tours surged rapidly. 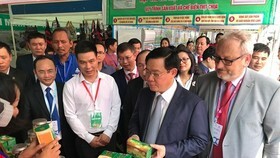 On this occasion, there was especially an appearance of medical tourism products combined with treatment of the Institute of Medicine and Pharmacy, which was very interested by many people. 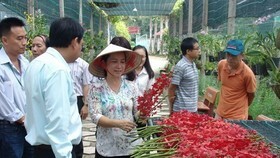 With the cash available for booking tours, Ms. Huynh Kim Tuyen living in Go Vap District said that she has been a regular visitor and bought tours at the tourism day over the years. 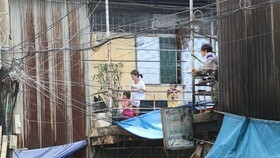 This year, she and her family booked a tour to the Northwest of Vietnam in this upcoming September. According to Ms. Nguyen Thi Anh Hoa, Vice Director of the Ho Chi Minh City Department of Tourism, there has been 70,000 local and overseas tours to be reduced price up to 50 percent during the event. In addition, some travel agencies have launched free 1-2 day tours through the lucky draw with 1,000 domestic and foreign tours for workers and students. 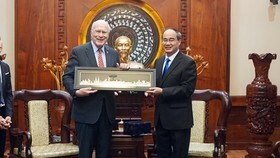 For example, Ho Chi Minh City tours such as Saigon - Cho Lon, Can Gio, Cu Chi, downtown center, with the preferential price from VND 275,000 to VND 1 million (from US$ 11.8 to US$ 43), attracting much attention of visitors. 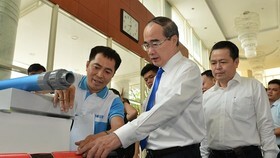 This season, some travel agencies rated that the summer tours to Nha Trang, Phu Quoc, Con Dao continued to attract tourists. Besides, one-day tours to the Southwest Vietnam have increased remarkable with the price of VND 200,000 to VND 500,000 (US$ 8.6 to US$ 21.5). The representative of Saigontourist said that two tours to Phu Quoc (Vietnam) and Zhangjiajie (China) had fully been booked on April 30 and summer holidays. 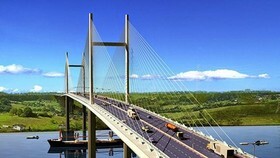 In order to meet this demand, the company has to provide more tours to Zhangjiajie (China) with a shock price of only VND 14.66 million (US$ 632) on six days, staying in five-star hotels in the whole direct flight. Besides that, Saigontourist also increased five-day trip to South Korea by renting the whole aircraft of Vietnam Airlines with the price of VND 15.99 million (nearly US$ 700). 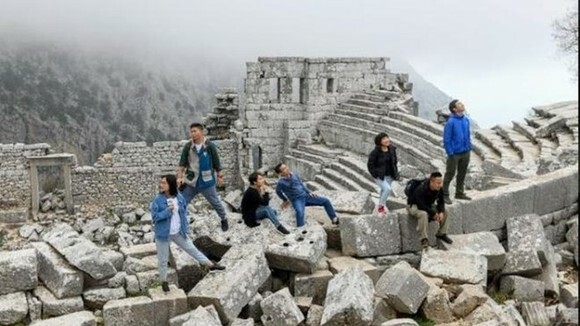 According to the BenThanh Tourist Company, the foreign long-distance tours departing from the beautiful days of April 27, 28 currently are closed, and the company only receives domestic road tours. 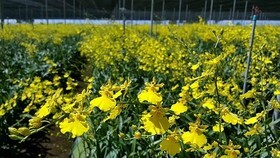 Many visitors come to find out, buy tours on Saturday afternoon. 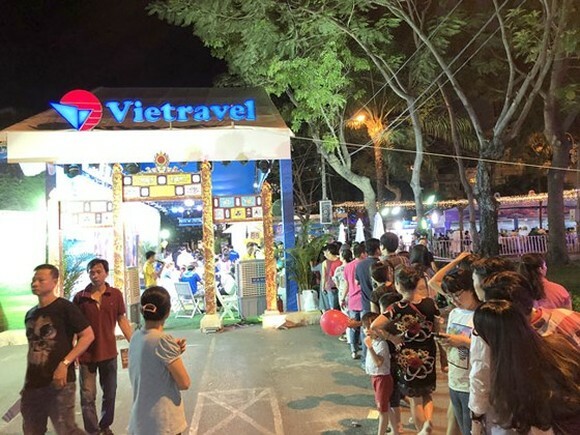 The Viet Media Travel Company said that the number of visitors coming to the event today is expected to increase sharply because Sunday is the last day of the Ho Chi Minh City Tourism Day 2019.